Level design is something that has always fascinated me. Its importance in making a game fun to play cannot be spoken enough. In fact, level design can be the difference between a solid game and a poor one-- no matter how good your gameplay actually is. Of course, even some of the greatest games possess a level that make you think the intern got to design it on the main designers' days off. That is what this series of articles focuses on-- those poor levels in games that are either poorly designed, just plain boring, tedious, annoying, frustrating, hard for the wrong reasons, or a combination of several of those ideas. Once you have looked at the examples provided, feel free to chime in with your own picks for bad gaming levels. 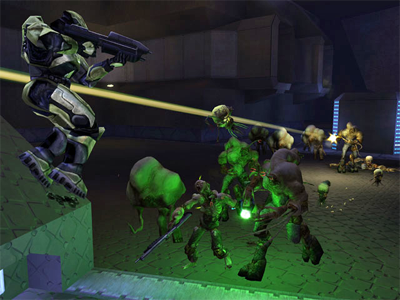 Whether you're playing the original Halo: Combat Evolved on the O.G. Xbox, or playing the remake in the Halo Anniversary Edition for the Xbox 360, one level that stands out as a slog no matter which version of the game you play is the Library level. You get an NPC, 343 Guilty Spark, as your guide, and your job is to walk the master of unlocking (move over, Jill Valentine) to various locked doors that need opening by said guide. When you aren't dealing with the ever-annoying Flood enemies as you progress through the level, you're trying to survive in various firefights against Flood of various shapes and sizes (and weapons in the case of the rocket-toting variety). 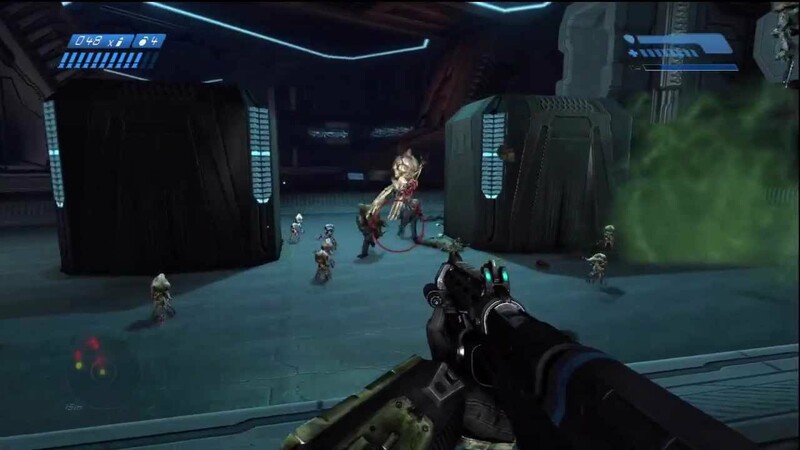 All of it is an immensely slow and admittedly boring going of it through a level full of Halo's most annoying enemies. It's not well designed, it's certainly not fun, and it wasn't really made better with Halo Anniversary Edition. Rayman Legends' predecessor, Rayman Origins, gave players who strove for 100% completion a wonderful final level to play. It was a hard-as-nails, but fair platforming challenge known as the Land of the Livid Dead, unlocking once all ten skeleton teeth were collected from treasure chase levels. It seemed that Rayman Legends had a lot to live up to in giving the player a great reward for making it to the end of the game, a true platforming challenge. Instead, Rayman Legends was a loud fart of a final bonus level. In fact, the entire bonus world was pretty lame, but most notably the final bonus level, Grannies World Tour, 8-Bit Edition stunk the most. 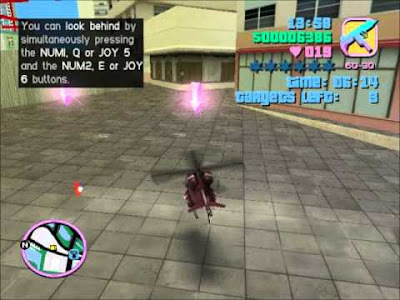 The bonus world featured the popular music levels in the base game. Only this time different graphical effects got in the player's way as a means to sabotage their run. Such things included making the player play the level on an upside down screen, pixelating the screen to massive proportions, static and fuzz a la old CRT sets, and having a 4 x 4 display of miniature screens of the level. What tricks does Grannies World Tour, 8-Bit Edition have under its sleeve? Why, it puts the player through all of these visual and graphical magical tricks to make going through a level where timing and precision jumps are necessary to survive next to impossible. 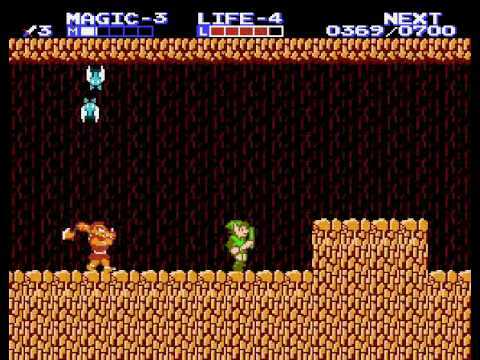 Yes, jumping to the beat of the music is important, but when you have no visual in a section where you're running up a shaft filled with spikes on either side of the wall, this becomes mighty tricky, and frustratingly so. It's not a hard level because of its design; it's purely because of the cheap graphical tricks in action that makes the level so unnecessarily and aggravatingly difficult. That is not good or fun level design, no matter how you slice it. 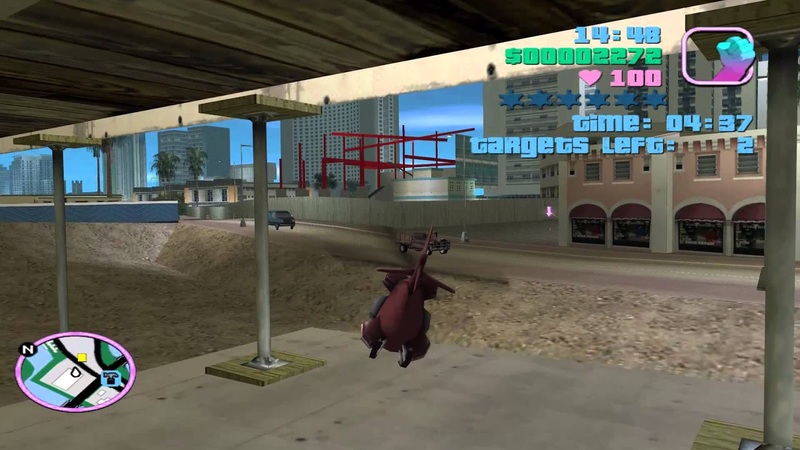 We mentioned Supply Lines from Grand Theft Auto: San Andreas in a previous volume of Bad Levels in Gaming History. 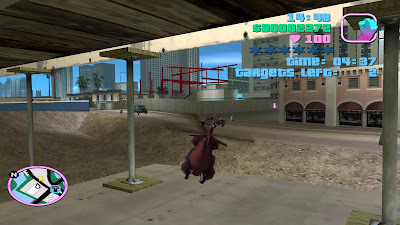 Now we look at San Andreas' predecessor with Grand Theft Auto: Vice City and its ultra annoying mission Demolition Man. A key difference between Supply Lines and Demolition Man is that the former is an optional mission, although incredible unfair, while the latter is a mandatory story mission. What does Demolition Man entail? Well, actually the demolition here comes from a miniature RC helicopter which protagonist Tommy Vercetti is forced to pilot through a multi-story building being constructed. The goal is to drop bombs at several key locations, and this is all the while workers take potshots and attack your hard-to-control toy helicopter as you fly it through the construction site. 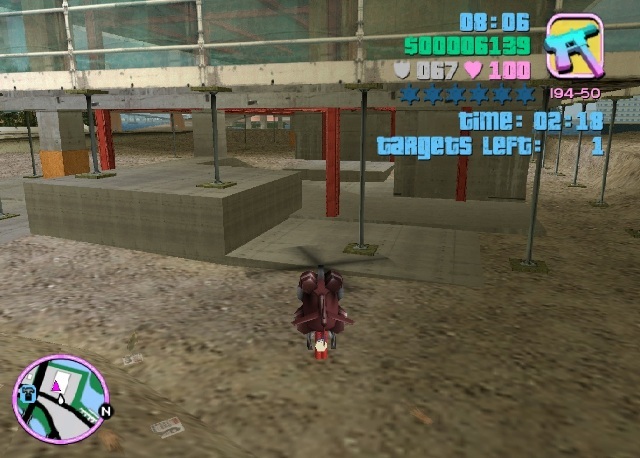 Not only is the helicopter a pain to move around the tiny, cramped spaces offered by the building under constructed, but the goons trying to bat your copter down are quite persistent. Plus, did I mention you have a limited amount of time to do all this? What all this adds up to is a mission that is worth praising for trying to keep Vice City's mission variety fresh, but one that fails in being anything close to fun. With it being exactly one month until the North American release of Star Wars: The Force Awakens, it seems like the perfect opportunity to dig deep into the Star Wars series of games, particularly Shadows of the Empire. 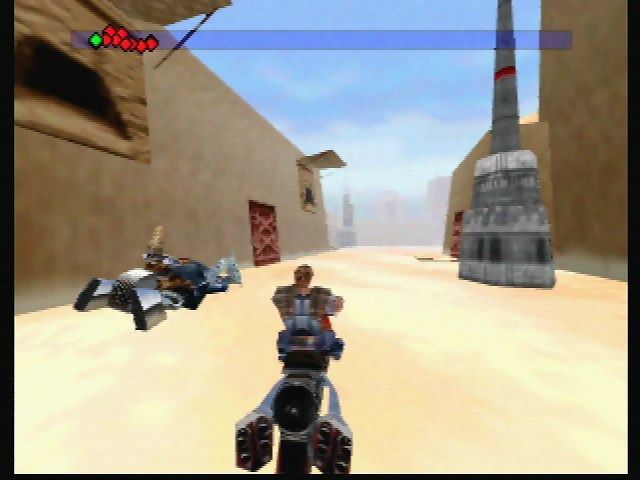 Now, this game was a fantastic early 3D Star Wars game for the Nintendo 64, releasing the same holiday season as the system itself. A PC port released the following September in North America. While the opening level is indeed one of the game's best, a different vehicle mission holds some notoriety in these parts of SuperPhillip Central. 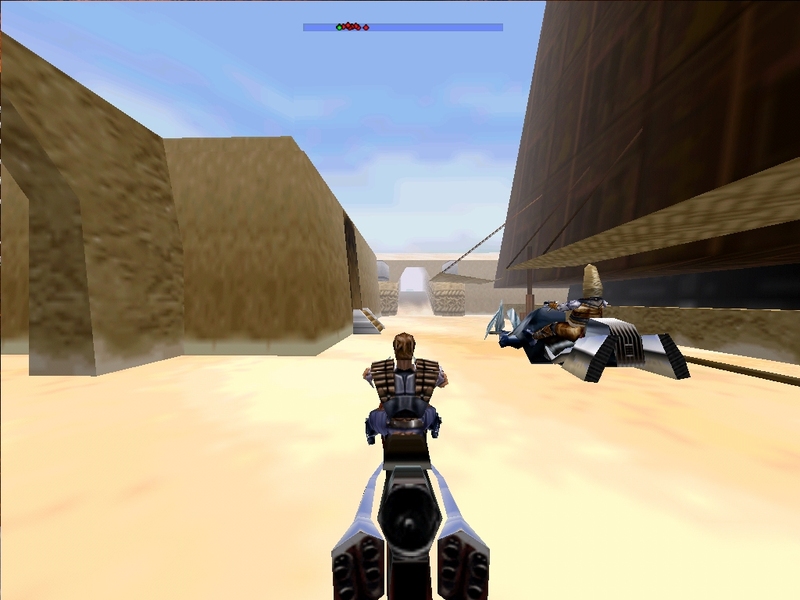 It's the mission that takes place in Mos Eisley and Beggar's Canyon, a speeder bike run through both locales. It has Dash Rendar chasing after several bikes, having the player attempt to careen through the tight and narrow spaces of the course while trying to smash into the bikes, jostling them into walls. This level is, dare I say, fun in some regards, but it's also a nightmare in others. The controls aren't the tightest, and the narrow passageways that you have to go through and tricky turns make for a ride that is less than fantastic. It's a problematic level in many forms of the word, but thankfully, it's just one rough level in an otherwise enjoyable early 3D Star Wars game. A bad level can easily be well designed or at least designed competently. 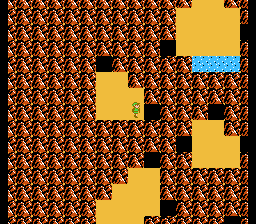 However, in Death Mountain's case from Zelda II: Adventure of Link, the area in particular seems to do more in the way of being designed to frustrate and aggravate the player rather than make them feel fairly challenged. 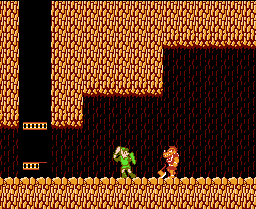 Death Mountain is a labyrinth of caves that offer the game's hardest regular enemies as well as troublesome platforming challenges. Throw in many dead ends, as a maze is wont to have, and you are dealing with a truly difficult area of the game in an already difficult title to begin with. To have a chance of surviving Death Mountain, your Link needs to have a fair amount of health, magic, and other attributes that most likely need to be grinded to high levels just to stand said chance. It's too annoying of a place to pass as anything but bad by level standards because if you need to grind in an already grind-heavy game to stand a chance of survival, then you know your level isn't very good. At least this is the argument that SuperPhillip Central presents. Do you agree?